I’ve been kind of quiet the past couple of weeks for a couple of reasons but in large part because I’ve been thinking a lot about Earth Day and what it means nowadays. After giving it a lot of consideration, I have a confession: I kind of hate Earth Day. Approximately 20 million Americans participated in over 12,000 rallies and events on the inaugural Earth Day back in 1970. At the time, that meant that one in every ten Americans was involved. The first Earth Day formalized the modern environmental movement and drew public support for the environmental policies of the 1970’s that would become the models for almost all international environmental policy regimes. The local and organic food movements also arose from this point in time, as well as the environmental justice movement. It resulted in the banning of DDT and other toxic pesticides, and lead from paint and gas. By the first Earth Day on April 22, 1970, America had experienced a growing social awareness and scientific understanding of changes in the environment over the prior four decades. Aldo Leopold brought ethics back into land stewardship issues during and after his career, culminating in A Sand County Almanac posthumously published in 1949. He popularized environmental awareness to a level not seen since the collaborations between John Muir and other conservationists, and Presidents Teddy Roosevelt and Woodrow Wilson, which led to the Antiquities Act of 1906 and later the National Park Service Organic Act in 1916, establishing the national park system we have today. Leopold’s influence reverberated on after his death in 1948, with over two million copies of A Sand County Almanac sold today. Charles David Keeling began measuring atmospheric carbon dioxide in 1958 and produced his results in 1961 displaying the alarming acceleration of CO2 concentration in the atmosphere. He continued measuring carbon dioxide, establishing the foundation for climate change research. Rachel Carson published Silent Spring on September 27th, 1962, exposing the dangerous impacts of DDT and other pesticides to the general public for the first time. In 1952, the Cuyahoga River in Ohio caught fire from pollution, not for the first time or the last, and caused over one million dollars in damages. The River burned again in 1969, this time resulting in a slew of environmental legislation including the Clean Water Act and the creation of the Environmental Protection Agency. The Cuyahoga River ablaze in 1969. Via Wired. The People’s Climate March last year in New York City drew over 400,000 participants, an unprecedented number. Via Grist. While this is an extreme view, it is unfortunately pretty accurate. In the 70’s, politicians were not so divided on environmental issues or so heavily invested in by companies, they reported to their constituents, actual tax-paying people. According to political scientist Lee Drutman, companies now spend more money lobbying our elected officials in Congress than taxpayers spend funding it. That isn’t to say that individuals and communities can’t make positive changes in their local environments, just that doing so on the larger scales of national and international politics will require more input, financial and vocal, from individuals and organizations, as well as companies, that want elected officials to actually pay attention to environmental concerns. That’s why John Kerry is urging cities to take the charge in establishing environmental policies. Which brings us to the second reason today’s environmental movement and Earth Day are kind of a drag: people just don’t care like they used to. Yes, the People’s Climate March drew over 400,000 people. Yes, there are activists standing their ground in the face of pipeline constructions and forest destructions. Yes, #EarthDay was trending on Facebook & Twitter, but so was Paris Hilton’s dead Chihuahua, Tinkerbell. Those 680,000 tweets, even if each tweet was tweeted by different individuals, would barely represent two thousandths of one percent of the country’s 320 million people. That ratio doesn’t compare well with the one-out-of-ten from 1970. The environmental movement has become normalized across many of America’s cultures, the knowledge of environmental issues is more accessible and widespread than ever, and it doesn’t have the shock and awe effect it used to as a result. Like Al Gore’s frog in hot water metaphor from An Inconvenient Truth, many Americans have acclimated and adjusted to the limited coverage given to reports and warnings by mainstream media, seemingly dulling the capacity to care of all but the most dedicated enviros. 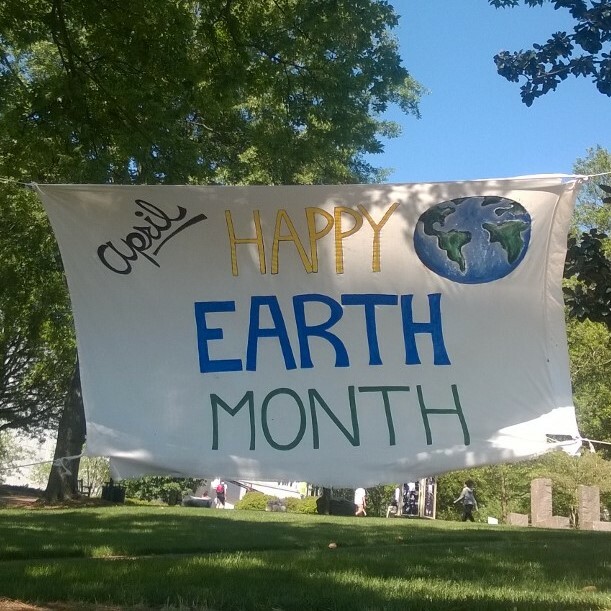 Earth Day no longer activates the same sort of change seen in those earlier days; at best, there may be a company shindig or celebration on a college campus to recognize institutional environmental efforts. But tweeting a picture from an Earth Day walk in the park is no high homage to the efforts of Earth Days past, especially if the tweeter drove to the park. 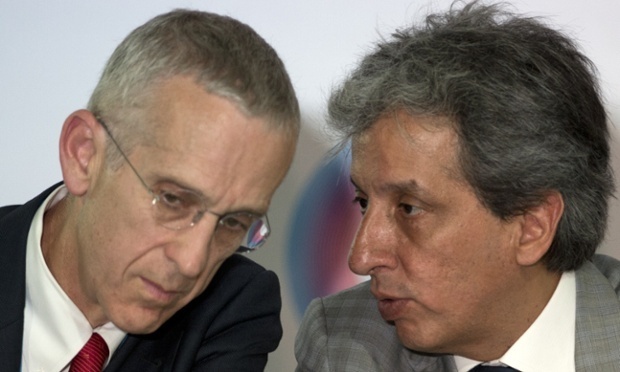 The U.S.’ head climate change delegate with Manuel Pulgar Vidal, Peru’s Minister of Environment and President of COP20. Via The Guardian. Todd Stern, the head U.S. delegate to the UNFCCC, has a phrase he uses to describe the current state of the international conversation on climate change: “We will live to regret it if we let perfect be the enemy of good.” I think this also applies to the environmental movement in general. Despite the disappointing aspects of environmental affairs in the States, that the U.S.’ CO2 emissions are on the rise again, or that EV owners are trading in their Priuses for SUV’s, or that three adamant climate change deniers hold the purse strings to the EPA, NASA, and NOAA, the three federal government agencies dedicated to researching Earth’s climate, there are still so many things to be optimistic about. Seriously! The modern environmental movement may be standing on the shoulders of the giant environmental actions of yesteryear, but that doesn’t mean the today’s environmentalism is of any less modest size. Though relative to the 1970’s today’s environmental activity may seem weak, the absolute values behind that activity is astounding. 400,000 people marched in the streets of Manhattan last year, for crying out loud! And that’s not even considering actions from around the world. In the 45 years since that first Earth Day, we’ve made a ton of progress. Renewable energy has become more distributed and makes up the majority of all new capacity in the U.S. energy portfolio. According to the U.S. Green Building Council, there are nearly 79,000 LEED-certified projects across the States (USGBC). More and more companies are making environmental commitments for product sourcing and production. The most American since 1956 are choosing to take public transportation instead of driving, according to a report from the American Public Transportation Association, with over 10.8 billion trips reported in 2014 alone. However, one need not look further than the Antiquities Act of 1906 to see how environmentalism is alive and well; Teddy Roosevelt used the act to establish and preserve Devils Tower National Monument and the Grand Canyon during his presidency. In 2009, President Bush used the same act to preserve and protect in perpetuity nearly 87,000 square miles, which President Obama expanded to over 490,000 square miles last year. Better yet, consider pesticides like DDT and their impact on the environment. As a result of Rachel Carson’s work and the millions of activists that pressured politicians, DDT was banned in 1972 and species conservation practices for affected animals like the bald eagle became institutionalized. As a result, today Bald Eagles have made a huge comeback and are no longer listed on the Endangered Species Act. In 2014 there were 210 nesting pairs recorded in Georgia alone, a record high for the state since the Department of Natural Resources began counting. Two of the Bald Eagles nesting at Berry College. When I first started drafting this piece a couple of weeks ago, honestly, I was frustrated. Fueled by headlines claiming that Earth Day doesn’t matter anymore and the depressing numbers, I tried to figure out why serious, committed environmentalists like myself get burnt out over the holiday. At its core, I’ve come to realize that it’s not the fact that a much smaller percentage of the U.S. population cares about the environment, or the overwhelming partisan polarization of environmental issues, or even the obstacle of more money in American politics than ever before. (Take THAT, Gilded Age!) What really eats us enviros on Earth Day is how those realities stack up against the expectations we set for ourselves based on the environmental movement of yesteryear. There is not necessarily something inherently wrong with what Earth Day has become, but rather with the lofty expectations and resulting disappointment we set ourselves up for. Reminiscing about the victories won forty-five years ago and idolizing those involved, we put our expectations on a pedestal beyond the reach of reality. This idolization is not endemic to the environmental movement either. Lamenting about my internal debate over Earth Day to a friend, who just so happens to be a clergymen of the United Methodist Church and hold a degree in forestry, he reminded me how early Christianity went through a similar evolution from the grassroots growth led by Simon Peter to the institutionalized religion established by the Edict of Thessalonica nearly three hundred and fifty years later in 380 C.E. This, he helped me remember, is the way that social movements evolve, fitting into the preexisting social mold of a culture and evolving in tandem with it. The evolution from a grassroots movement to an institutionalized one normalizes the very characteristics that originally defined the movement to begin with. Today’s Earth Day exists in a cultural microcosm that is so much larger than that of the inaugural Earth Day: there are countless more social actors and roles, millions more participants, governments and #brands, all communicating at unprecedented speeds on a truly global scale. Why do environmentalists expect to have the same results when the world is such a different place? We know that there’s so much more that individual people can do, but the reality is that we have so many more people who just do a little. That’s not going to save the world, but environmentalists–I–should not get disheartened or disenchanted, we should get smart. Earth Day is evolving and if we want to make the same caliber of change that occurred after the first Earth Day, we’ll need to evolve, too.